Kenya’s dry land areas (also called ASAL, arid and semi arid lands) cover more than 80% of the country. 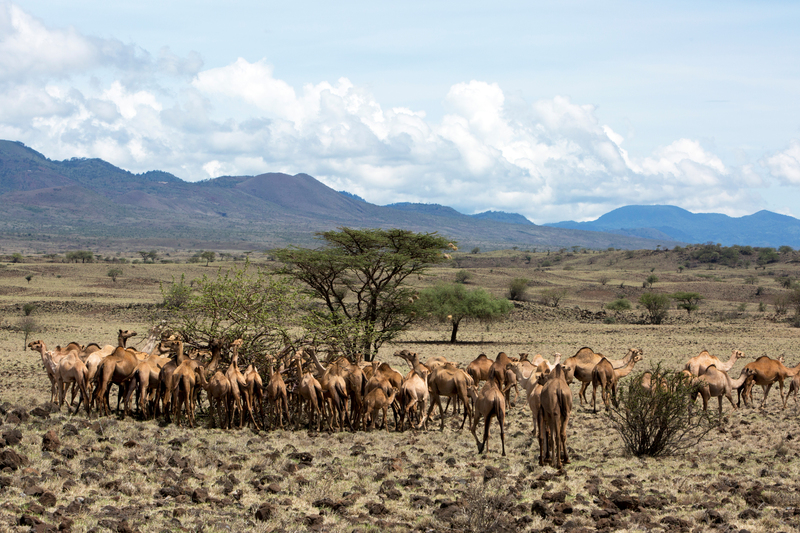 They are mainly found along the Northern Rift Valley and are home to around 4 million pastoralists who make up more than 10% of the country‘s population. Severely affected by the recurrent droughts that are striking in the entire Horn of Africa, Kenya is facing an escalation of food insecurity, which already threatens the life of 1.3 million people. VSF Germany supports pastoral communities in northern Kenya (Marsabit, Turkana, Samburu and Mandera counties); VSF Suisse works mainly in Isiolo county with camel keepers, and VSF Czech Republic works on rabies control in mount Kulal (Marsabit county). Delivering humanitarian and resilience building interventions, including: emergency food aid and veterinary services, community-managed disaster risk reduction, holistic natural resource management, pastoral field schools and ‘Do No Harm’ principles, promotion of livelihood diversification to improve food and nutrition security to enhance resilience to drought. Supporting a gradual shift from cattle rearing to camels in Isiolo county, and providing communities with solid training in camel keeping, milk hygiene and processing. Kenya is also one of the countries where VWB/VSF Canada sends volunteers through their “Volunteers for Healthy Animals and Healthy Communities” project, to reinforce the capacities of local partner organizations.